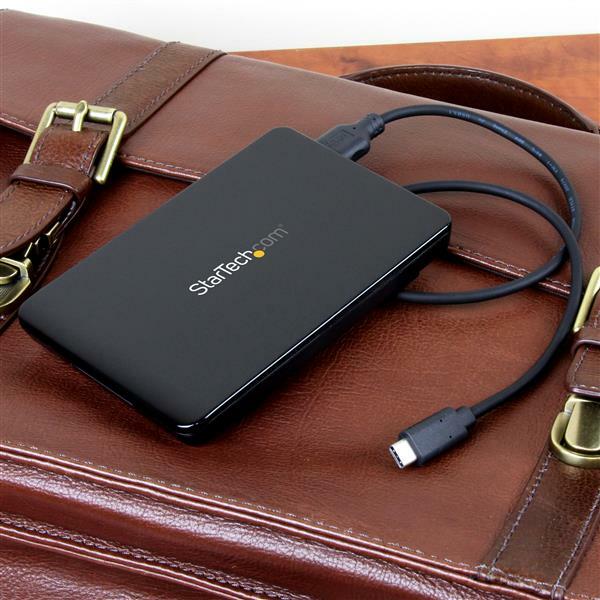 Take your valuable data with you wherever you go. 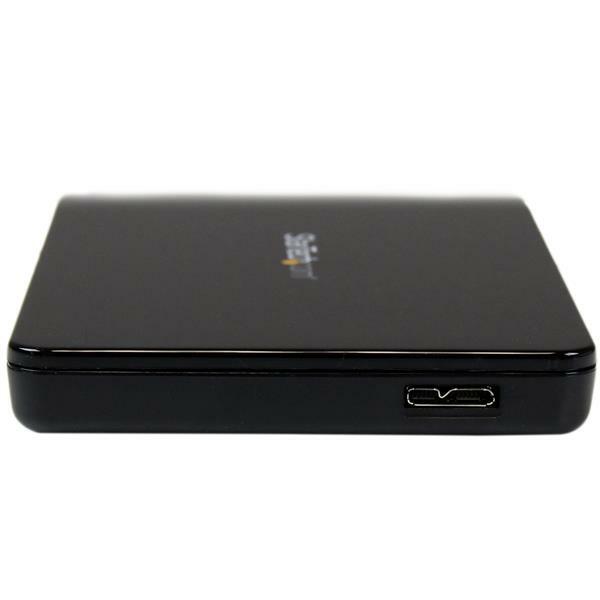 This single drive enclosure for 2.5” SSDs/HDDs lets you utilize the USB-C port on your MacBook, Chromebook Pixel™, Dell™ Latitude 11 5000 Series 2-in-1, or other device to add ultra-fast, ultra-portable data storage. The enclosure’s compact design and lightweight construction provides a highly portable solution for adding external data storage to any device with USB-C™. 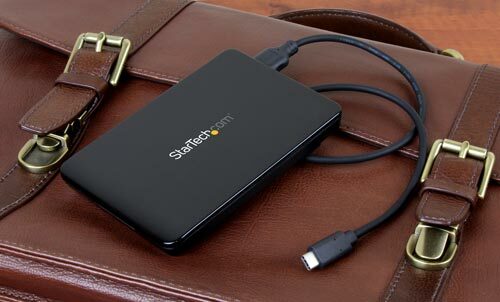 It tucks easily into a laptop bag or carrying case for portable storage, and it’s completely tool-free so you can install your drives quickly on the fly. The enclosure is powered directly from the USB port, with no external power required, so there’s no need to carry along an adapter. The drive enclosure comes with a USB-C to Micro B cable. The USB Type-C connector is small and reversible, which makes for easier insertions. You can connect the USB-C plug quickly with either side facing up, which means less risk of damaging your ports and less frustration. With support for SATA I, II and III and large capacity drives (tested with hard drives up to 2TB), this USB-C enclosure is compatible with virtually any 2.5in. SATA hard drive or solid-state drive. 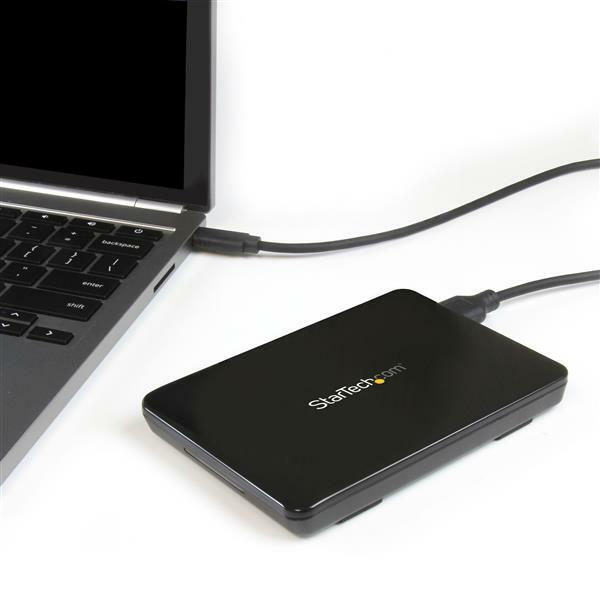 The enclosure delivers USB 3.1 Gen 2 performance with data transfer speeds of up to 10Gbps, letting you leverage the high performance of the latest SSDs and hard drives while alleviating bottlenecks in your data transfers. It’s also enhanced with UASP, which increases read and write speeds, to utilize the full potential of your SATA III drives. 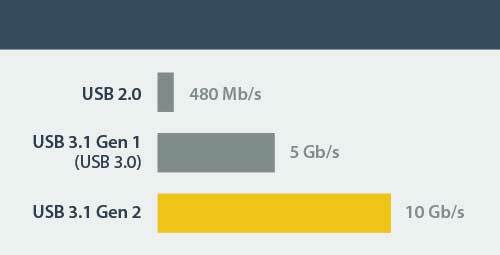 USB 3.1 gives you greater bandwidth and speed with file transfer rates of up to 10Gbps - twice the capability of USB 3.0 technology. 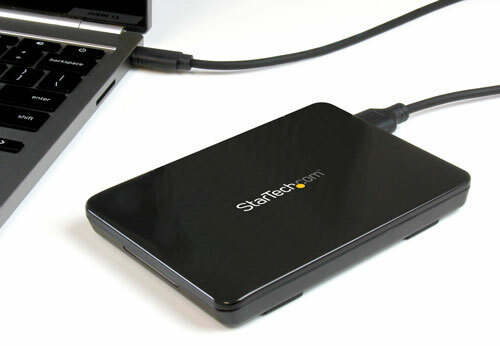 The S251BPU31C3 is backed by a StarTech.com 2-year warranty and free lifetime technical support.